'Rei' means something mysterious, ethereal, transcendetal and sacred. 'Ki' means atmosphere or something subtle or energy (of the universe). The Japanese word of Reiki, can be defined as an ethereal, transcendental and sacred energy of the universe which sustains all life. Reiki Ryoho (Reiki Healing Art) is a hands-on healing by means of channeling the energy of the universe. It is a two-fold practice, a healing practice and a spiritual practice. ​The founder of Reiki Ryoho was Mikao Usui (1865 - 1926), pictured left. He attained spiritual enlightenment and at the same time, a healing ability while fasting and meditating on Mt. Kurama in 1922. 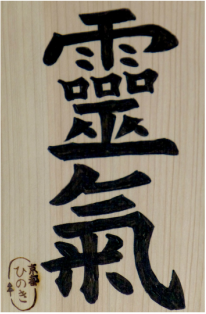 This healing ability was named Usui Reiki Ryoho, an inspired healing art to improve the mind and body. Going against tradition, Usui sensei shared this wonderful gift with everyone, not just his family. He also founded Usui Reiki Ryoho Gakkai at Aoyama, Tokyo in 1922. He moved to Nakano, a suburb of Tokyo in 1925, to expand his healing and teaching activities. Through numerous invitations, he traveled to teach Reiki Ryoho at various locations like Hiroshima area, Saga, Kyushu. While traveling, Usui sensei passed away in 1926. 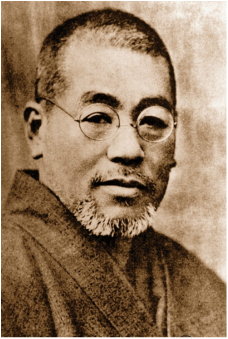 Usui sensei taught 20 Shihans (teachers), one of which was Chujiro Hayashi. In Japan, the surname precedes the first name as the family is more important than the individual.